Police are renewing their appeal for information following a fatal road traffic collision in Wrexham yesterday (Friday May 4th). At 4:10pm police were notified of a two-vehicle collision on the junction of the A525 and the A483 involving a motorcycle and a silver coloured Fiat 500. Emergency services attended the scene however the motorcyclist was sadly pronounced dead at the scene. Sergeant Meurig Jones said: “Our thoughts remain with the family and friends of those involved in the collision during this difficult time. 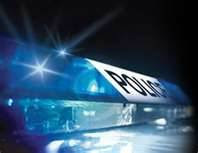 “The motorcycle was travelling from Coedpoeth towards Wrexham – and we’d appeal to any motorists who may have witnessed the collision or may have seen the motorcycle before the incident to get in contact with us. We’d be especially eager to hear from anyone who saw the motorcycle approaching the lights on the junction of the A525 and the A483. Anybody with information is asked to contact officers at the Roads Policing Unit on 101 or via the live web chat by quoting reference number W057541.